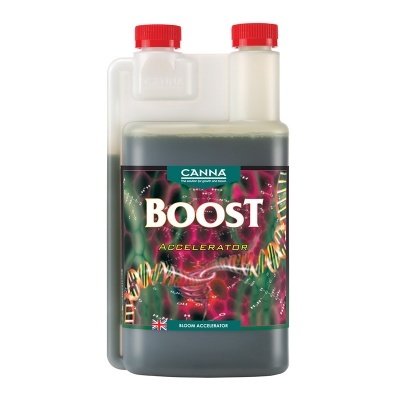 CANNABOOST Accelerator is CANNA's flagship flowering stimulator, specially developed for fast growing plants, it improves quality and increases yields. CANNABOOST stimulates the development of flowers that have formed recently and this can make the fruits fuller than normal. This also results in a more homogeneous harvest because the fruits mature gradually. CANNABOOST does not just guarantee higher yields, but also better taste. 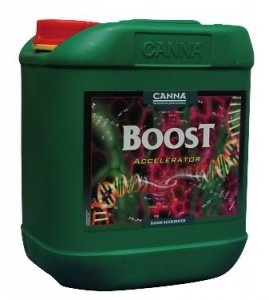 Something extra for the CANNA grower - use with CANNA PK 13/14 for even higher yields.